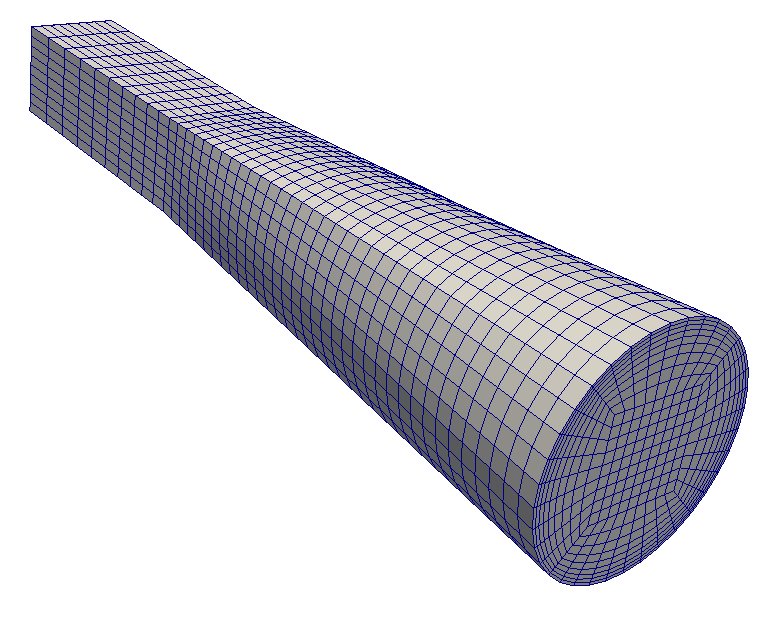 OpenFOAM is an excellent tool to perform accurate CFD studies. The software also has its own mesh language – making it possible to create simple geometries, fast, without an extra meshing application. For larger meshes, this format becomes difficult and almost impossible to use efficiently. Still, this blockMesh format is a sought after alternative, as it produces only hex cells, and block volumes can be specified for every edge, in terms of expansion and number of cells. It can also create perfect transitions between (curved) edges. 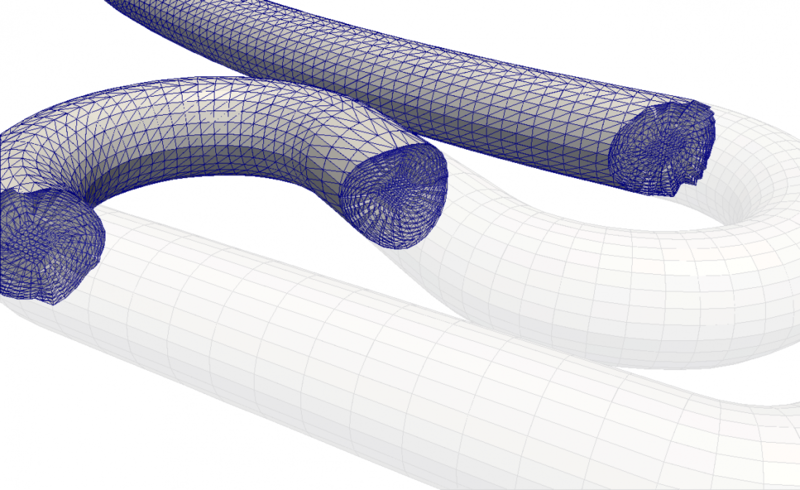 To investigate flow in bends and diffusers, I have created automated routines to create this kind of meshes – also incorporating O-grid to avoid singularities in pipe centre. The mesh routines are completely parameterized, producing meshes in mere milliseconds – with full control of all mesh parameters. These routines are completely module based, making it possible to add straight sections as well as bends, and diffusers. The three «blocks» produce first one 45 degree bend to the right with radius 3m, then a straight 4m long pipe section, and finally a bend turning «left», 30 degrees with radius 0.4m. This is very interesting and would be extremely useful in a project im with working. How can i start using it? Well, considering the amount of time spent on programming these tools – I'm not too eager just releasing it to the public domain. 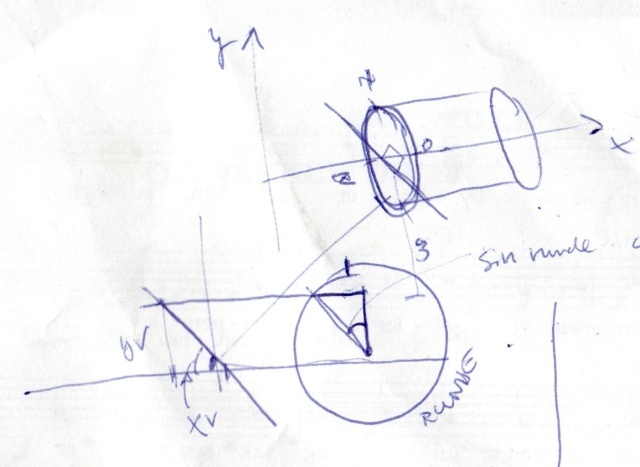 What kind of geometry are you looking into?